Chairman of the Board and a Non-executive Director of the Company. Mr. Li joined China Resources (Holdings) Company Limited in December 2017 and is the Chief Financial Officer of the China Resources Group. Prior to that, Mr. Li served as the Chief Financial Officer of the State Grid Corporation of China from November 2007 to December 2017. Mr. Li has rich experience in the power industry as he served as general manager of power plants, general manager of Fuel Company of Shandong Power Industry Bureau and held many senior management positions in Shandong Province Power Group Company and China Guodian Corporation. Mr. Li is also Vice Chairman of Hua Xia Bank Co., Limited (whose shares are listed on the Shanghai Stock Exchange). Mr. Li is an Executive Director of the council of China Association of Chief Financial Officers and is a Director of the council of The Accounting Society of China. Mr. Li holds a Master of Business Administration degree from Nankai University and is a senior accountant in China. Vice Chairman of the Board of Directors, Executive Director, Senior Vice President of the Company. 04/2016-10/2018, Vice Chairman of the Board of Directors, Executive Director, Senior Vice President of the Company, Director and General Manager of China Resources Coal (Group) Co., Ltd; 11/2014-04/2016, Deputy General Manager of Thermal Power Business Division, Chief of Holdings Office of the Board and Strategic Development Department; 05/2012-11/2014, Deputy General Manager of Thermal Power Division and General Manager of South China Branch; 01/2011-05/2012, General Manager of South China Branch; 12/2007 onwards, General Manager of Guangzhou China Resources Thermal Power Co., Ltd.; 08/2002-11/2007, Assistant General Manager, Deputy General Manager of Hubei China Resources Power Co., Ltd successively. Prior to joining China Resources Power, he used to work in Huaibei Go-On Power Co., Ltd. Mr. Ge has obtained MBA at Huazhong University of Science and Technology (HUST). Executive Director, President of the Company. 02/2014-04/2016, Deputy Director of Strategic Management Department and Director of Lean Management Office of China Resources; 05/2012-02/ 2014, Deputy General Manager of Thermal Power Division and General Manager of Jiangsu Branch of the Company; 05/2010-05/2012, Assistant President of the Company and General Manager of Jiangsu Branch; 06/2009-05/2010, Deputy Technical Director and General Manager of Operations of the Company. Prior to joining the Company, Mr. Hu has held the posts as Director of Guangdong Shajiao C Power Station, General Manager of Guangdong Yuehua Power Company Ltd., Deputy Chief Engineer, and Chief of Strategic Development Department of Guangdong Yudean Group Co., Ltd. successively. Mr. Hu has obtained Bachelor of Thermal Power Engineering at Chongqing University; Master’s Degree of Engineering Thermophysics at Chongqing University and Doctoral Degree of Power Engineering and Engineering Thermophysics at Zhejiang University; he used to be a student of "Master Class" of the second batch of senior management talent training in Guangdong Province and studied at University of Massachusetts-Boston, and the title of professor-level senior engineer. Ms. Wang Xiao Bin is an Executive Director and Chief Financial Officer and Company secretary of the Company. 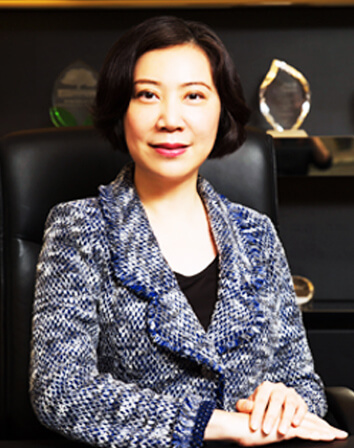 Prior to joining the Company in July 2003, Ms. Wang was a director of corporate finance of ING Investment Banking, responsible for execution of capital markets and merger and acquisition transactions in the Asia Pacific region. She worked for Pricewaterhouse in Australia in the audit and business advisory division for five years before joining ING Barings. Ms Wang is also an Independent Non- executive Director of WorleyParsons Limited, a company listed on the Australian Securities Exchange. Ms. Wang is a member of the Australian Society of Certified Practising Accountants and holds a graduate diploma in Applied Finance and Investment from the Securities Institute of Australia and a Bachelor’s degree in Commerce from Murdoch University in Australia. 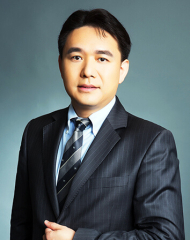 Mr. Chen Ying was appointed as a Non-executive Director of the Company in June 2012. He is the general manager of the strategy management department of CRH since November 2011. Mr. Chen is also a non-executive director of China Resources Enterprise, Limited, China Resources Cement Holdings Limited and China Resources Gas Group Limited, which are listed on the Stock Exchange. Mr. Chen received a bachelor’s degree in architectural management from Tsinghua University in China in 1993 and a master’s degree in business administration from University of Oxford in the United Kingdom in 2007. Mr. Chen joined CRH in 1993 and worked as a project engineer, an executive director and assistant general manager of China Resources Construction (Holdings) Company Limited from September 1993 to March 2002. He was also the director and president of China Resources Land (Beijing) Company Limited from March 2002 to October 2011; and the senior vice president and a director of China Resources Land Limited, a company listed on the main board of the Stock Exchange from March 2003 to January 2006. 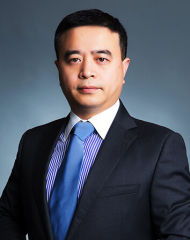 Mr. Wang Yan joined China Resources National Corporation in July 1994. He has been working for China Resources Petrochems (Group) Company Limited (now known as Sinopec (Hong Kong) Petroleum Holding Company Limited) since August 2000. Mr. Wang was appointed as a director of China Resources Gas Limited in November 2005. He holds the position as a Deputy General Manager of China Resources Gas (Holdings) Limited from September 2007 to April 2012. He was appointed as a Deputy Chief Internal Auditor of China Resources (Holdings) Co., Ltd. (Internal Audit & Supervision Department) in April 2012. Mr. Wang holds a Bachelor’s Degree in Economics from the Finance and Accounting Department, Capital University of Economics and Business, a Master of Business Administration Degree from the University of South Australia and is a qualified PRC Certified Accountant. 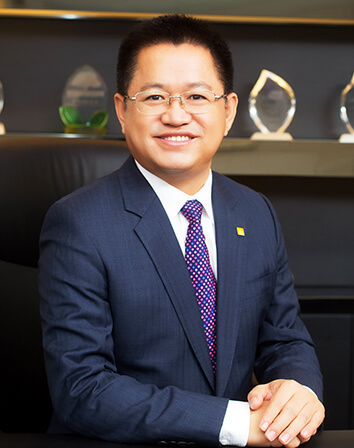 Mr. Ma Chiu-Cheung, Andrew was appointed an Independent Non-executive Director of the Company in December 2006. Mr. Ma is a fellow member of the Institute of Chartered Accountants in England & Wales, the Hong Kong Institute of Certified Public Accountants, the Hong Kong Institute of Directors and the Taxation Institute of Hong Kong. He has more than 30 years’ experience in the field of accounting, auditing and finance. Mr. Ma is a founder and former director of AMA CPA Limited (formerly known as Andrew Ma DFK (CPA) Limited). He is presently a director of Mayee Management Limited and is currently also an Independent Non-executive Director of several other listed companies in Hong Kong. Mr. Ma received his Bachelor’s degree in Economics from the London School of Economics and Political Science (University of London) in England. Ms. Elsie Leung Oi-sie was appointed as an Independent Non-executive Director of the Company in April 2010. Ms. Leung was the Secretary for Justice of the Hong Kong Special Administrative Region, as well as a member of the Executive Council of Hong Kong from July 1997 to October 2005. Ms. Leung was admitted as a solicitor of the Supreme Court of Hong Kong in 1968. She was a partner of P. H Sin & Co., a Hong Kong law firm, which amalgamated with the law firm Iu, Lai & Li Solicitors & Notaries in 1993; she was a senior partner with Iu, Lai & Li Solicitors & Notaries from 1993 to 1997. At the end of 2006, she resumed practice at Iu, Lai & Li Solicitors & Notaries. Ms. Leung also serves on the board of United Company Rusal Plc, a public company listed in Hong Kong, as an Independent Non-executive Director. Ms. Leung has served on several government boards and committees, including the Independent Police Complaints Council, Equal Opportunities Commission, Social Welfare Advisory Committee and Inland Revenue Board of Review. Ms. Leung was appointed as a Delegate of the People’s Congress of Guangdong Province in 1989. In 1993, she was appointed as a Delegate of the 8th National People’s Congress and in 1994 as well as a Hong Kong Affairs Adviser. Since 2006 she has been the Deputy Director of the Hong Kong Basic Law Committee of the Standing Committee of the National People’s Congress of the People’s Republic of China. Apart from being a solicitor of the Supreme Court of Hong Kong, Ms. Leung is a qualified Solicitor in England and Wales and obtained a Master of Law degree from the University of Hong Kong in 1988. 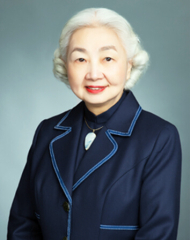 Ms. Leung was appointed a Justice of the Peace in 1982 and was awarded the Grand Bauhinia Medal in 2002. Dr. Raymond Ch’ien Kuo Fung was appointed as an Independent Non-executive Director of the Company in April 2010. 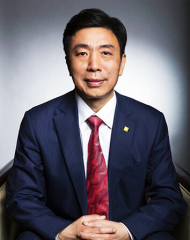 Dr. Ch’ien is the Chairman and Independent Non-executive Director of Hang Seng Bank Limited. Dr. Ch’ien also serves as an Independent Non-executive Director on the boards of The Hongkong and Shanghai Banking Corporation Limited, Swiss Re Limited and Swiss Re Asia Pte. Ltd. Dr. Ch'ien was non-executive Chairman of MTR Corporation Limited from July 2003 to December 2015. In public service, Dr. Ch’ien is a member of the Economic Development Commission of the Government of the Hong Kong SAR. 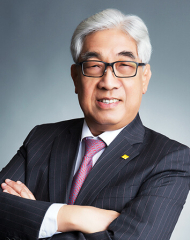 Dr. Ch’ien is an honorary President and past Chairman of the Federation of Hong Kong Industries. From January 2008 to January 2018, he was a member of the Standing Committee of the Tianjin Municipal Committee of the Chinese People’s Political Consultative Conference. From 1992 to 1997, Dr. Ch’ien was a member of the Executive Council of Hong Kong, then under British administration. He was appointed a member of the Executive Council of the Hong Kong Special Administrative Region on 1 July 1997 and served until June 2002. He was a Hong Kong member of the APEC Business Advisory Council from 2004 to 2009. He was Chairman of the Hong Kong/European Union Business Cooperation Committee from 2005 to January 2012. Dr. Ch’ien was previously Chairman of the Advisory Committee on Corruption of the Independent Commission Against Corruption, the Hong Kong/Japan Business Cooperation Committee, the Industry and Technology Development Council and the Hong Kong Industrial Technology Centre Corporation Ltd. Dr. Ch’ien received a Doctoral degree in Economics from the University of Pennsylvania in 1978 and was a Trustee of the University from 2006 to 2016. Dr. Ch’ien was appointed a Justice of the Peace in 1993 and a Commander in the Most Excellent Order of the British Empire in 1994. In 1999, he was awarded the Gold Bauhinia Star Medal. In August 2008, Dr. Ch’ien was conferred the honour of Chevalier de l’Ordre du Mérite Agricole of France. 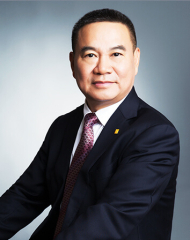 Mr. Jack So Chak Kwong was appointed as an Independent Non-executive Director of the Company in June 2014. Mr. So assumed the Chairmanship of the Airport Authority Hong Kong on 1st June, 2015. 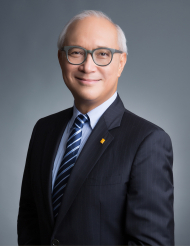 He began his career with the Hong Kong Government and joined the private sector in 1978, having held various senior positions in stockbroking, banking and property development. He served as Executive Director of the HKTDC from 1985 to 1992 and its Chairman from 2007 to 2015. 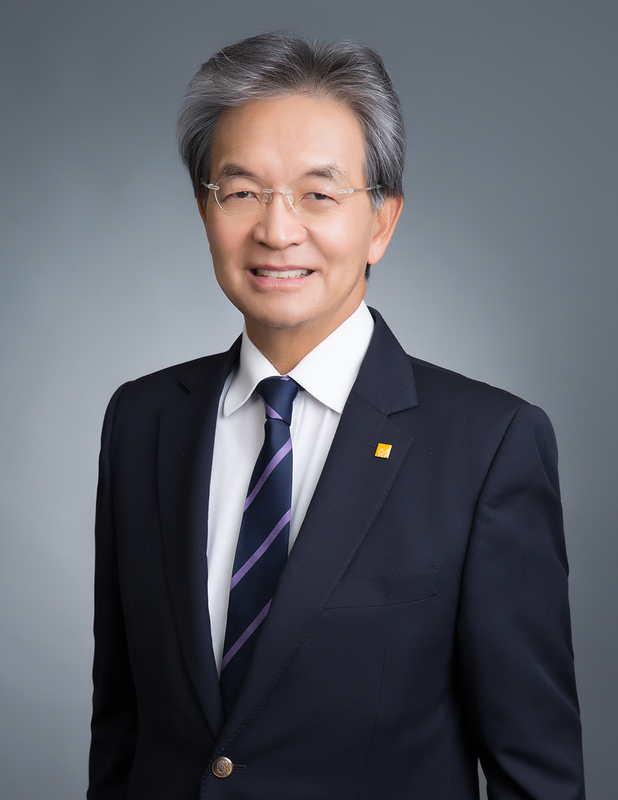 He was Chairman and Chief Executive of the MTR Corporation from 1995 to 2003 and Deputy Chairman and Group Managing Director of PCCW from 2003 to 2007. Mr. So is an independent non-executive Director of AIA Group Ltd. He is also a senior advisor to Credit Suisse, Greater China, and an advisor to The Hong Kong & China Gas Company Ltd (Towngas). He was an independent Director of HSBC from 2000 to 2007 and Cathay Pacific Airways Limited from 2002 to 2015. In October 2013, Mr. So was appointed Chairman of the newly established Consultative Committee on Economic and Trade Co-operation between Hong Kong and the Mainland. In January of the same year, he was appointed a non-official member of the Economic Development Commission, and Convenor of its Working Group on Convention and Exhibition Industries and Tourism. Mr. So is the Chairman of the Hong Kong Philharmonic Society. He is also the Chairman of Harrow International School Hong Kong. He served as Chairman of the Hong Kong Film Development Council from April 2007 to March 2013. Mr. So has been a member of the Chinese People's Political Consultative Conference since 2008 and was an International Business Advisor to the Mayor of Beijing. He has been appointed Honorary Consultant to the Mayor of San Francisco in May 2013. A Justice of the Peace, Mr. So was awarded the Golden Bauhinia Star by the Hong Kong SAR Government in 2011. In the same year, he received an Honorary Doctorate in Social Science from the University of Hong Kong.